Contact Pyrenees Shire. General Enquiries, Emergency and After Hours contact, Customer Action Requests and Complaints. Information about activities carried out by the Environment and Sustainability Officer. 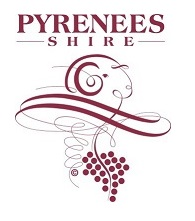 Council issues rates notices annually to all rateable properties within the Pyrenees Shire. This page will provide you with further information about your rates notice. Council provides a waste collection service as well as transfer stations for residents in the Pyrenees Shire. If you live on a property that is not connected to reticulated sewerage, you should either have a standard septic tank or an onsite wastewater treatment system on your property.